Airbnb recently announced its most-liked Instagram photos of 2018. The photos depict 10 Airbnb homes around the world, four of which are located in Italy. Each location offers stunning nature views, and many of the homes are situated next to bodies of water. We’ve rounded up 17 photos of the destinations that will make you want to stay there on your next vacation. Airbnb is starting off the new year with some travel inspiration. In a blog post on its website, the lodging site has released a list of its most-liked homes on Instagram in 2018. The list depicts Airbnb homes across the world, spanning from New Zealand to California. The most popular destination on the list is Italy, with four of the site’s most popular homes dotted across the nation. While each home has something unique to offer, the 10 locations share one thing in common: breathtaking views of nature. Here are 17 photos that will make you daydream about booking a vacation. 10. The „Triangle Siargao“ in the Philippines has remained a popular destination since 2017. Located on Siargao Island, this Airbnb home is ideal for two guests. It’s described as „an A-frame house lost in the jungle“ in its listing, and offers views of lush greenery. Dog lovers would also enjoy staying there. The site is home to two dogs, named Blue and Mellow, who are said to greet visitors once they arrive. Find out more about this home on Airbnb. 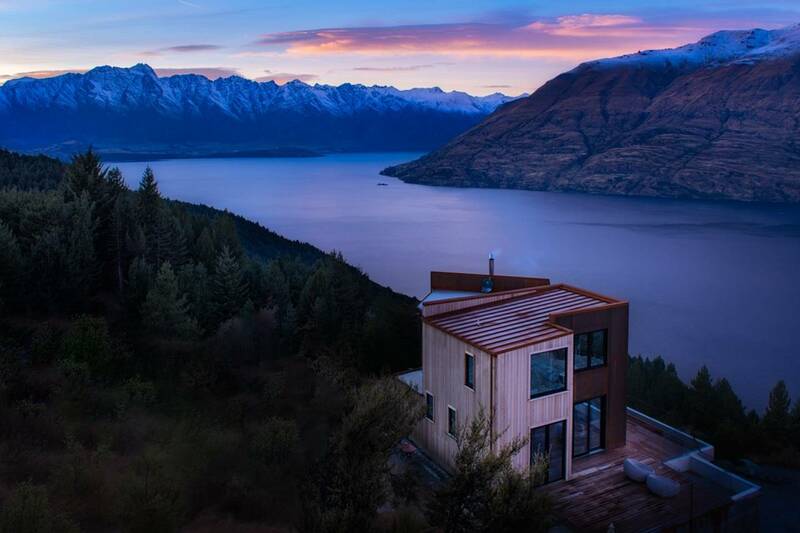 See the Instagram photo that made this home one of Airbnb’s most-liked here. 9. An „Exclusive Villa with Private Dock“ was one of four Italian Airbnb homes to make the list. This home is located right along the water in Piano di Sorrento, Italy. Travelers who stay there can take a dip in a saltwater pool amid views of the surrounding mountains.